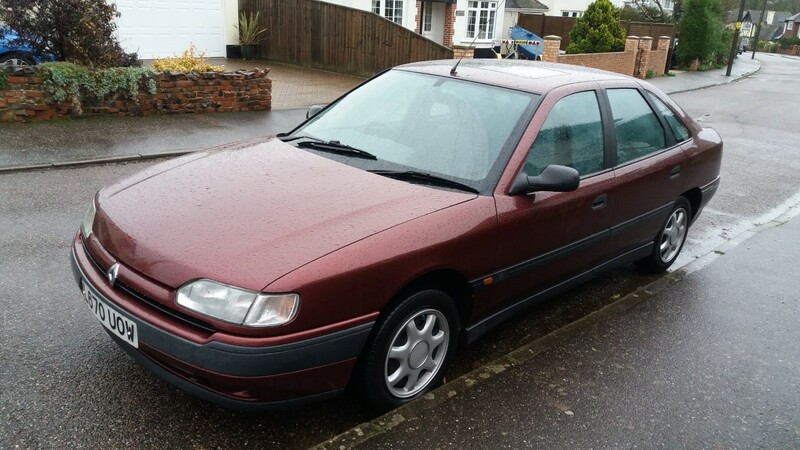 It has a complete bookpack and every MOT certificate from 3 years old,bill of sale etc,its Persian red with cloth interior,NO a/c,manual rear windows,no front fogs and steels,proper pov spec! Only other thing is a slight misfire at idle,it doesn,t stall,cut out etc but does have a light misfire,driving is really nice and smooth,no misfire there,just a slight one at idle,nothing bad at all,just wanted to mention it. Any questions please ask,i have pics to send if you want. Will put on E-bay soon,but would rather sell on here,it has spare key aswell and owned buy a few people on here before. Yep that's it,can email pics if you PM me. It's a lovely one. My first French barge so it'll always have my a place in my automotive heart. Shame I'm a bit short of money, otherwise I'd have it. There are more Safranes for sale on here than ebay and auto trader combined, some compared to none. That face when two Safrane's appear for sale at once yet you only have the money for one roffle ticket. It’s ridiculous these have all come along when I’m caretaking Imps Jag so can’t have/insure another car lest wife kills me. Yes, that’s me moaning about having a free car..lol. Absolute megabargain. I wish I needed a car ! ^^ Liked because it's parked outside my house. This'll sell. But not until the roffle for the other one has finished! I will sell this at a cheaper price if it can be collected TODAY,have had a couple of people interested but nothing firm,i had forgot to say it has a nearly new battery that cost £60 aswell,its ready to go,all cleaned,emptied out just waiting for its new owner! Come and get it TODAY as you could be a Safrane owner before you know it! It has severale invoices with it including 2 for cambelt changes aswell. Can confirm extremely clean car this and knowing 25v6turbo he has pampered this car. Everything you want in a seller - trustworthy and honest. Some proper pictures wouldn’t harm things either. Phew as I really want a little Citroen Ax lol but do like a barge.